If you have macular degeneration or cataracts — or a family history of these diseases — the right eating plan can help protect your vision. Vision loss and its tragic implications are all too common: Cataracts affect more than half of all Americans over age 80, and as many as 11 million Americans have some form of macular degeneration. In the past decade, research has pointed to nutrition as one factor that might reduce the risk and slow the progression of these disorders. 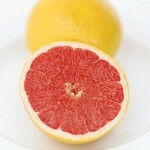 In this section, learn more about Food Cures to protect your eyesight. We can't turn back the clock, so smart nutrition choices may be the next best bet for preventing — and at the very least delaying — the onset of eye diseases. 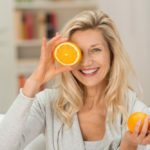 You can take care of your eyes and help protect your vision into your 50s, 60s and beyond with these simple strategies. Read more. To prevent cataracts, foods rich in B vitamins and antioxidants are the best defense. See which foods have these nutrients. If you are starting to see early signs of the disease, eating the right foods can help. Load up on these vision-friendly nutrients. Can Supplements Help Prevent Eye Disease? In addition to eating the right foods, supplements can also keep your eyes healthy. 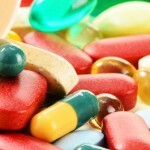 Find out which supplements are right for you. Taking a multivitamin may be good for your health, but is it safe for your vision? Here's how to protect your eyes. 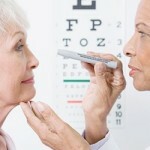 Beyond diet, there are certain lifestyle changes that can help prevent eye problems later. Here are 6 things you can do to protect your vision. Eating certain foods can help protect — and even enhance — your eyesight. These 7 picks are among your best bets.